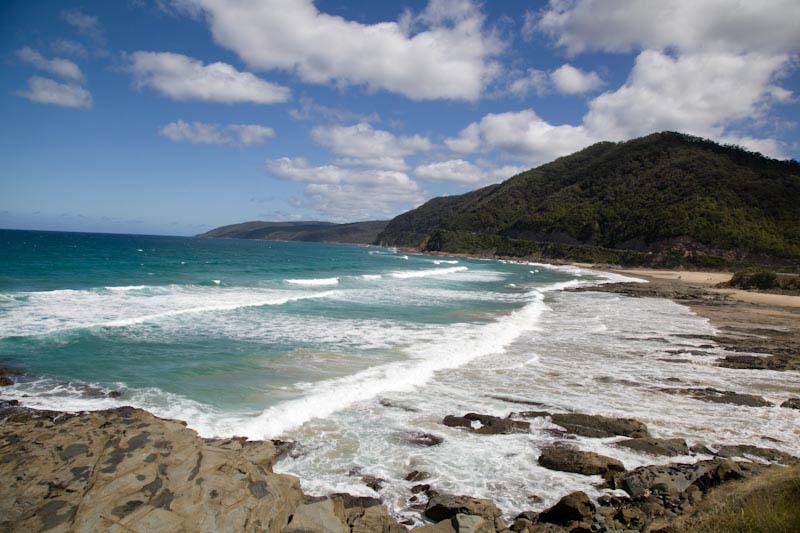 The Great Ocean Road is one of the most vaunted road journeys in the world, now it was with great excitement that we embarked on our journey. However it also had some work to do, don’t forget our experience in New Zealand its road journeys were amazing. We set off from Melbourne early and had a plan to stop by the National Surfing Museum and Bells beach before hitting the road proper. Both of which were great and I can highly recommend the surfing museum. 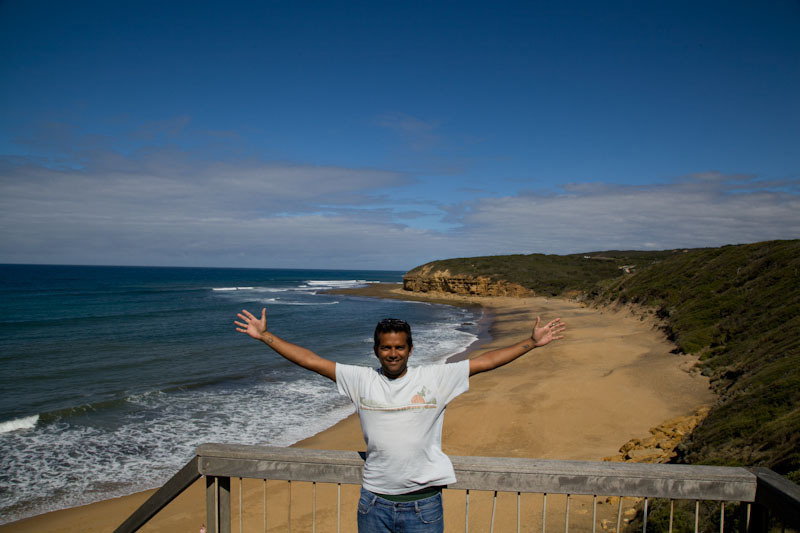 As for Bells beach it was another great surfing beach to visit and it did not let us down, it is a fantastic beach, a rugged bay with a couple of point breaks. And speaking of Point Break it was funny being here, as I had expected the 50 year storm and 50 foot waves with Keanu Reeves and Patrick Swayze to be fighting on the beach, alas not this day. It did bring back happy memories of the summer of 1993 where Point Break was the film of the summer and we had finished secondary school (high school), and the reading boys had one of the best summers ever! 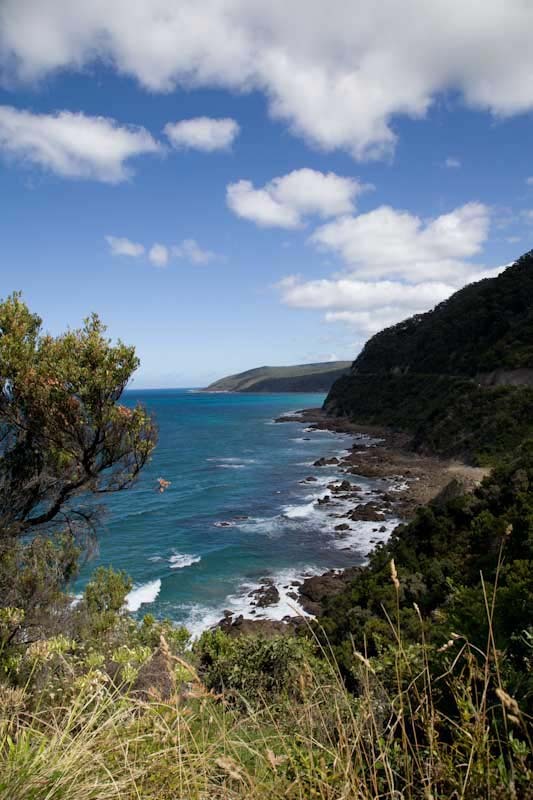 Anyway, back on track after Bells was the road proper and it did not disappoint we drove the road which had an amazing back drop of the ocean and rugged coastline. 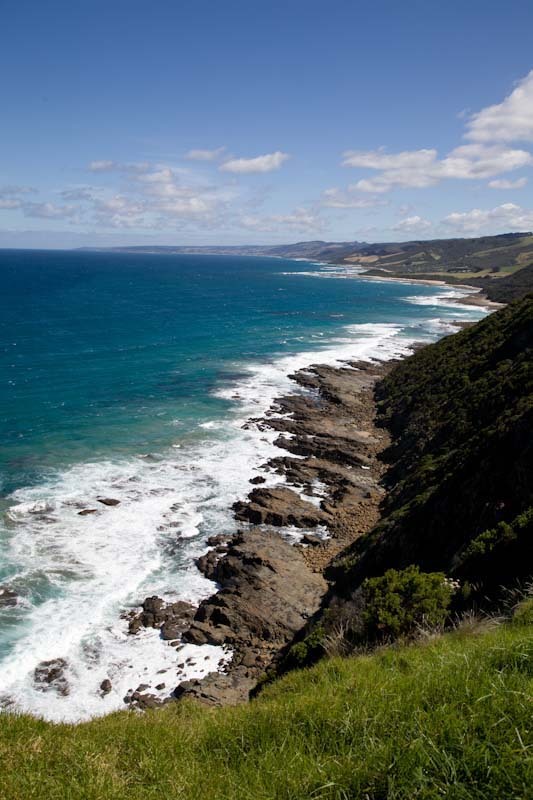 The day was sunny and the blues of thye ocean where amazing, this road truly is great. I add some photographs here as my ramblings would not do it justice. 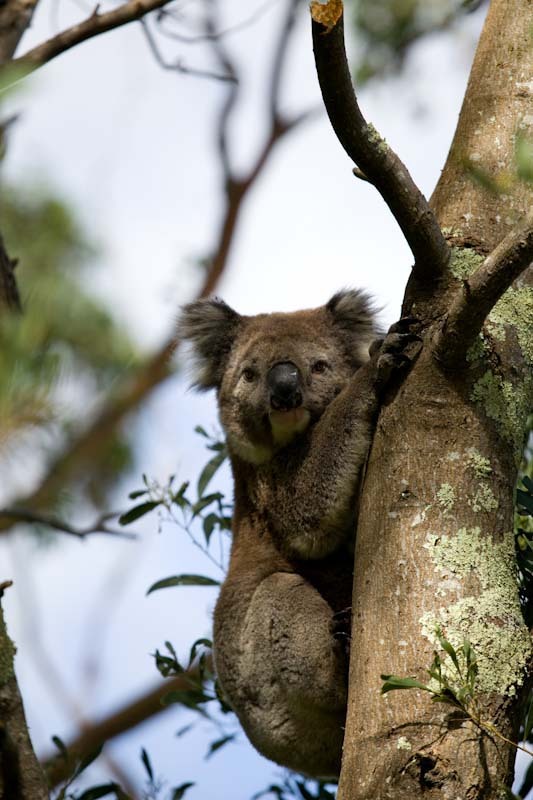 Before we had left Sydney and Melbourne we have been asking the folks we were staying with whether we would get to see Koala’s and Kangaroo’s in the wild, the suggestions where maybe but chances were slim especially Koala’s as they were hard to spot. It seems like the gods may have been watching over us, after seeing a couple of “sleeping” Kangaroo’s by the side of the road we stumbled upon a field full of the bouncing mammals. It was pretty awesome, we saw, we stopped, they looked and then they hopped off, about 40 of them. That was great but the wildlife highlight of the day was the sighting of the Koala. As we were driving the road we turned a corner and a jeep was parked right there we swerved and then we saw at the side of the road a Koala casual walking along, Steph veered round him and then swerved to a halt by the side of the road. We jumped out and wandered back to where the couple from the jeep where watching him. The young thing had climbed a tree and was only a couple of feet of the ground it was great. What was funny that after a couple of minutes the Koala looked up and realized the tree he had climbed was a stump and only about 5 ft high, all of a sudden he looked a little nervous. After a couple of minutes of assessment he jumped of and scampered to another tree this time about 40ft high and he climbed to a safe height of about 20ft. We watched a little while then got on our way. The last point on the road for our journey was the Twelve Apostles, probably one of the most photographed points of interest in Australia. So much so I don’t think anyone who has been to Australia does not have the Ken Duncan Photograph of them. It is so photographed and seen you almost question whether it’s worth traveling all that way to see them, or at least that’s how I felt. But when we arrived and saw them for real it was a spectacular sight and well worth the drive. There may no longer be twelve but the formations are fascinating and the coastline and cliff faces offer amazing views. 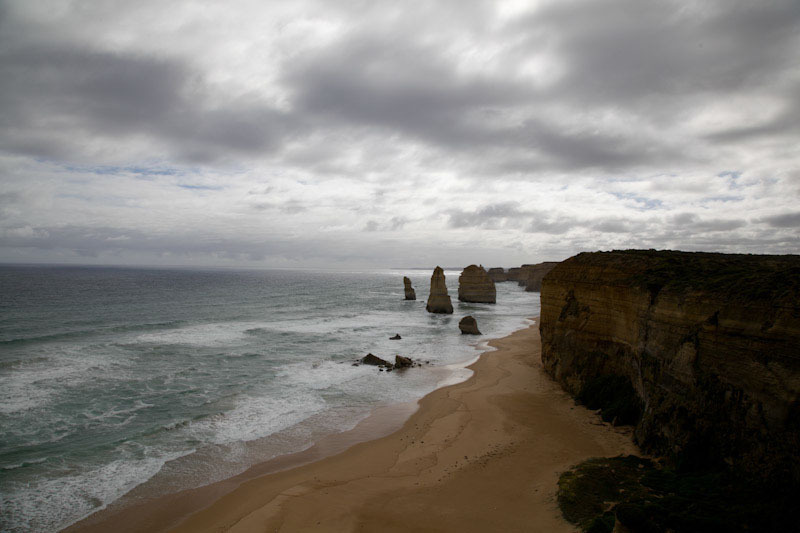 This is no Ken Duncan sunset, but a great photograph none then less of a more Stormy and Sultry Twelve apostles.